Park Hyuk-kwon learned the piano for his character of Kim Hee-ae's husband. Park is starring in the new JTBC drama "Secret Love Affair" as Oh Hye-won's (Kim Hee-ae) husband. He is a stylish piano professor of a music university on the outside but actually a materialistic person named Kang Joon-hyeong. Ironically, he is the one that discovers Lee Seon-jae (Yoo Ah-in) who falls in love with Oh Hye-won and connects them together. 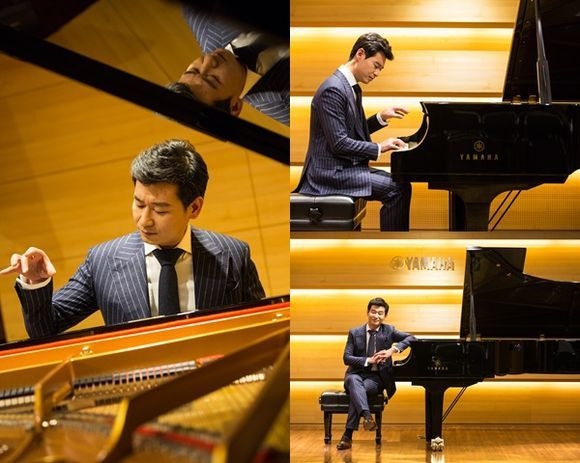 Park Hyuk-kwon learned the piano for his role in the drama. He said, "I said alright to the offer out of trust to writer Jeong Seong-joo and director Ahn Pan-seok. I started preparing for Kang Joon-hyeong and thought I would need piano lessons, although there was a standby". "As this character is stylish enough to be loaded on the front cover of a magazine, I am discussing various suit concepts with my stylist to make it work". Meanwhile, "Secret Love Affair" is about the romance between a woman who looks perfect and a man who has the spirit of the innocent and musical talent. To be aired in March after "Can We Love??" ""Secret Love Affair" Kim Hee-ae's husband Park Hyuk-kwon learns the piano"